Will "The Man" beat "The Queen"? 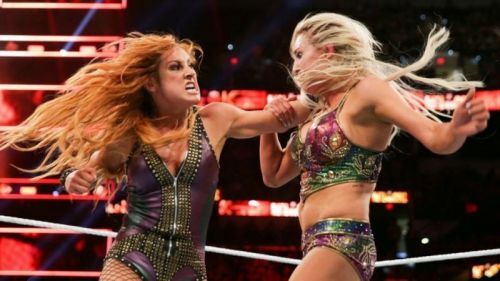 The ongoing saga between Becky Lynch, Ronda Rousey and Charlotte Flair took a new turn last week when Ronda laid down her title in the ring in front of Stephanie McMahon. This week on RAW, Stephanie announced that Becky would take on Charlotte for the "vacant" RAW women's championship at FastLane. Just before the match was about to be made official, Rousey returned and demanded her title back, saying she just wanted Becky in, not her out! Stephanie agreed to it and changed the match on FastLane, adding a stipulation that if Becky wins, she gets added to the RAW Women's Championship match at WrestleMania, or else she's done. After the segment, Rousey cut a promo stating she was fed up with the crowd booing her, and attacked Becky, thus seemingly turned heel. The match between Charlotte and Becky at FastLane would be interesting, as fans would be eager to see what holds next for these 3 superstars of WWE. In this article, let's take a look at the 5 possible endings for their match at FastLane. Feel free to share your thoughts in the comments section below. Everyone is expecting Becky to win this match! Let's be honest here, we all know that after all the amazing build-up, there's no way Becky will not compete at WrestleMania for the RAW Women's Title. It's just a question of how and not if Becky will make it to there. The first and simple ending for their match at FastLane would be a clean victory for The Man. Of course the match will be a good one, with Charlotte constantly attacking Becky's injured leg (and arm?). Charlotte could unleash the true Flair inside her, doing all the heel tactics to make sure Becky doesn't win. We could also see a heel Ronda Rousey at ringside taking a close look at the match to find out who she'll be facing at WrestleMania. 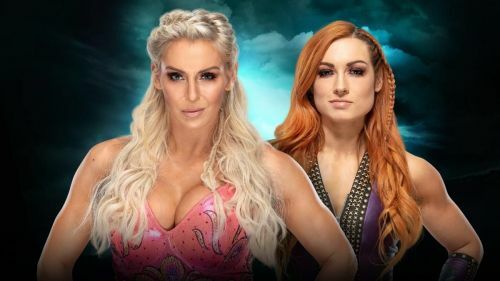 After a tough match, Becky could make a heroic comeback pinning The Queen clean and booking her spot for the Championship match at WrestleMania.